Dubai, United Arab Emirates, 24 February, 2015: Al-Futtaim Motors, exclusive distributor of Toyota, Lexus, Hino and Toyota Material Handling in the UAE, was presented with the Automobile Customer Care Excellence Award by the Middle East Excellence Awards Institute, for the company’s contribution towards the development of smart customer services in the UAE. The ‘Automobile Customer Care Excellence Award’ is granted based on strict criteria and judging procedures adopted by the institution in selecting and honoring leaders for the extraordinary role that they play in promoting enhanced automotive smart customer service excellence in the region. “We pride ourselves on delivering not only the best vehicles to our customers, but also the best quality of service in the market, which is why today, Al-Futtaim Motors is recognized as one of the leading automotive brands in the UAE,” said Jon Williams, ‎Managing Director of Al-Futtaim Motors. 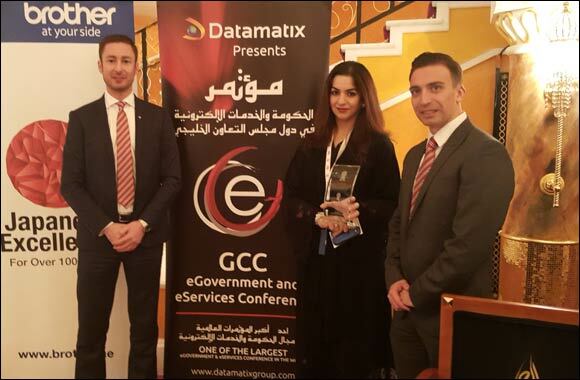 The 9th Middle East Smart Government and City Customer Care Excellence Awards ceremony was held last month in conjunction with the 14th GCC Smart Government and City Customer Care Excellence Conference at Burj Al Arab.